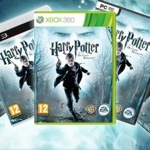 The cover art for the upcoming “Harry Potter and the Deathly Hallows: Part 1″ video game has been released via the Electronic Arts (EA) Facebook page and website. Available to view right here in our Image Galleries, the cover art shows Harry brandishing his wand, with the evil eyes of Lord Voldemort looking out above him. 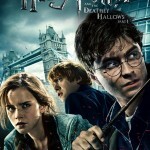 The “Harry Potter and the Deathly Hallows: Part 1″ video game will be available on Xbox 360, PLAYSTATION 3, Windows PC, Wii, and Nintendo DS on November 19, 2010.